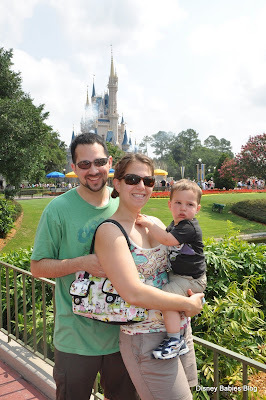 Disney Babies Blog: How time flies.. In an inspiring yoga class a few weeks ago, my teacher urged us to slow down and really savor the time we have. As she said - to some, a 75 minute yoga class can feel like an eternity. To others, it can fly by. Yet, we should hope for it to end and feel like the perfect amount of time. I really focused on spending the last few weeks really enjoying time with my baby - he'll be 2 months old on Tuesday. I can no longer say it feels as though he was just born yesterday. It does seem like it was a while ago now. But, that doesn't make it any easier to know that my maternity leave is now over. Today is my first day back at work. My two boys are at the same daycare where I know all the teachers and I've seen my older son thrive, so I'm not too worried. Sadly, it doesn't make it much easier to leave the youngest there all day! But, as time moves and as I am trying to accept reality setting in, I'm sort of able to realize the exciting things in the future. will join us at our happy place in February of 2013. I'm excited to have a picture of the four of us to add to our collection! So for once, I'm not counting down the days until our next trip - I'm going to try to savor the days I have while my boys are little and we are still their best friends. And, while they don't know any other vacations other than Walt Disney World are available! It always amazes me how short your maternity leave is in there. Here in Ontario Canada it is a full year, and has been that way for 12 years, before that it was 6 months. I think it's pretty crazy, too. We have one of the shortest around the world. Hopefully someday that will change! A year maternity leave sounds wonderful! I always stretched mine out as much as I could adding vacation days, etc. but those weeks go by so fast! 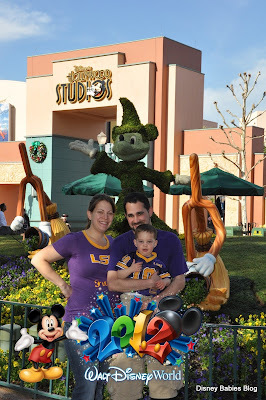 I love your LSU family pic...Geaux Tigers!